New law banning advertisement of smoking products and smoking e-cigarettes in public places goes into effect on Friday. 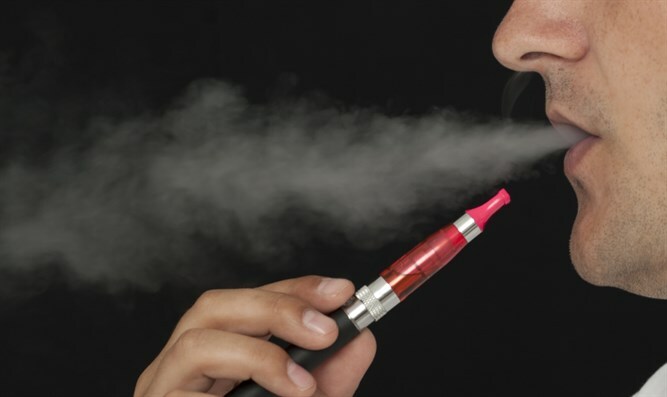 On Friday March 8, the new laws limiting the advertising of smoking products will go into effect, together with a ban on smoking electronic cigarettes in public places where regular cigarettes are banned. The bill was approved in July 2018 and passed its final vote on December 31 of the same year. All laws regarding tobacco products will be expanded to include all products used for smoking, including electronic cigarettes and various mixtures used to smoke but which do not necessarily contain tobacco. The law also bans advertisements of smoking products on internet sites and smartphones, as well as on billboards, store signs, and in stores, and prohibits the names of tobacco products from being used for other products. The law excludes specialty alcohol and tobacco stores, as well as printed newspapers. However, printed newspapers will be allowed to carry only one ad per day. A full 30% of the ad must include warnings about the health risks, and beside the ad will be an ad of the same size from the Health Ministry, warning about the dangers of smoking. Handing out samples will also be banned, whether the samples are free or in exchange for payment or another product, as will events intended to promote smoking products. Additional clauses will go into effect in another four months. These include limitations on "duty free" items, a ban on toys which resemble smoking products, and limiting the use of fruit and flower designs on smoking products' packaging. In ten months, stores will be required to hide smoking products, smoking products will have a uniform packaging, and the warnings on them will be enlarged. Those citizens who do not wish to suffer from secondhand smoke will still be required to call the municipality (106) or the police (100) to report the violation and request an enforcement official be sent to the scene. A study published in May of last year showed that 59% of Israeli children are exposed to secondhand smoke - more than their counterparts in Canada, England, and Germany. By the age of 13, over half of Israeli teens have tried smoking.